Could Beast Mode 2 be in there? 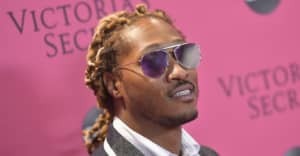 Last August, Zaytoven hinted that he and Future were cooking up new music together. In a new interview with HotNewHipHop, the Atlanta producer revealed that the sessions are ongoing, and have resulted in dozens of songs. No release dates were mentioned, but Future leaked a snippet of one of their tracks, co-produced by TM88, in March. Zaytoven has been spending time recently with the newly released Gucci Mane.